It goes without saying that here at Cool Camping we love camping in all its forms, from luxury glamping holidays to back-to-basics nights under canvas. 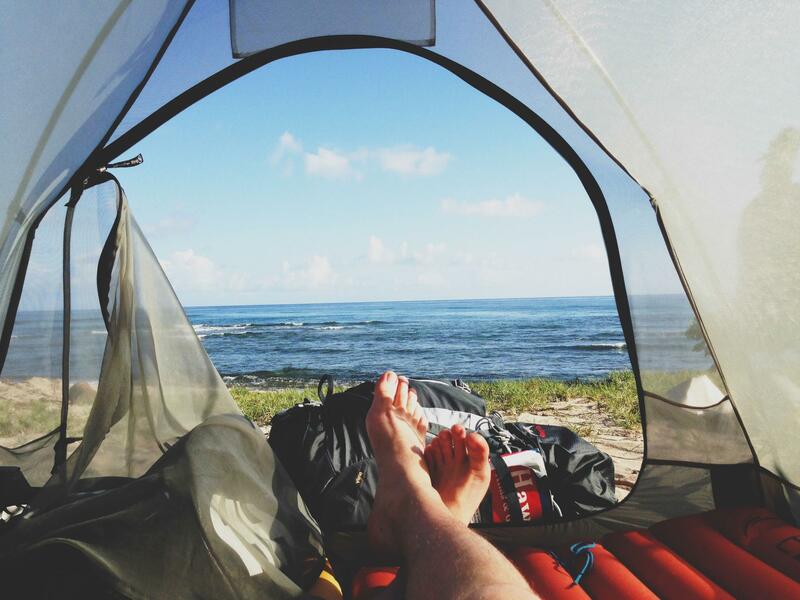 And while we’re in the business of helping people find the coolest campsites around, we know that sometimes the appeal of camping is getting away from it all. If your perfect pitch is one that’s away from every one and every thing you might be looking for your next wild camping spot. As usual the Cool Camping experts are on hand to help. 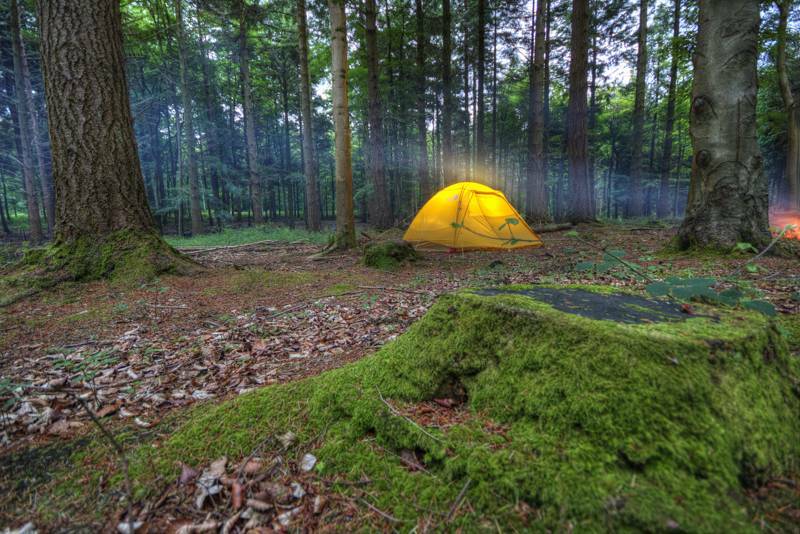 Technically wild camping is illegal in England, Wales and Northern Ireland and, while we would never encourage law-breaking behaviour among our legion of fans, we’ve got the lowdown on loopholes and locations where you can pitch up, problem free. This guide will show you how to go wild camping – and get away with it! First up – why camp in England when some of the wildest wild camping spots are up in Scotland where the law doesn’t prohibit it? You can pitch up on unenclosed land in Scotland with no problem. This means camping in Scotland’s national parks, the Cairngorms and Loch Lomond and the Trossachs, is a-okay for pitching a tent. In recent years, some restrictions have been brought in to areas around Loch Lomond, which means permits are required if you’re camping between the beginning of March and the end of September – but this covers just four per cent of the park. You can find out more on the Loch Lomond and Trossachs National Park website. You’ll also want to check out the useful Outdoor Access Guide to Scotland that suggests how to camp responsibly – well worth a read, whether you are wild camping in Scotland or elsewhere. Even in England, there are a few places where you can pitch up problem-free and thankfully, those locations are the very places where you’d like to pitch a tent; our national parks. While there’s no general rule allowing wild camping in English parks, some of them have designated areas in which wild camping is okay and some of them tolerate the occasional bivouac or wild camping pitch. In Dartmoor National Park, there are large areas where wild camping, or backpack camping – as they call it – is allowed. 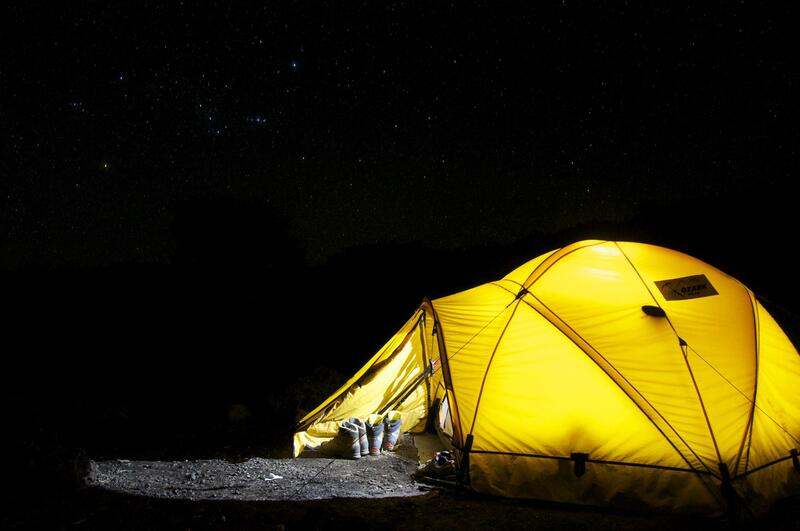 Don’t expect to drive up to your pitch but, if you are on a multi-day walk, you can set up a tent and enjoy the special landscape and skyscape as the stars come out at night. Check out the national park’s own guide to camping, which includes an interactive map showing where backpack camping is permitted. The rest of England and Wales’ national parks do not have designated camping areas, but wild camping is traditionally tolerated among the high fells of the Lake District too. Other national parks are clear in their guidance that, although they may include areas of common-access land, wild camping is not one of the rights allowed. Exmoor, Snowdonia and the Peak District National Parks all suggest that you should seek landowner permission before pitching a tent. The Brecon Beacons National Park Authority is the same but goes as far as providing a list of farms which will allow wild camping – you can pick one up from their visitor centres in the Beacons. Making a wild camping pitch legal is as simple as asking a landowner whether it’s okay if you pitch up for a night or two. Occasionally you might like to identify who owns the piece of land you want to camp on before you head to an area but, more often than not, you will stumble upon a perfect place to pitch by chance. If there’s a farmhouse nearby it’s only polite and sensible (not to mention legal) to ask if you can stay. If it’s agreed, you can rest easy and enjoy your night’s sleep; safe in the knowledge that your pitch cannot be brought into question and that you won’t wake up in a field that’s unsuitable. And who knows – by asking a landowner, you might even be directed to a better pitch than the one you’ve found yourself as they will know where the best views are, where it can get boggy underfoot and where the livestock are grazing next. Whether you’re wild camping where it’s legal, have sought owner permission to pitch a tent or otherwise, you should make every attempt to blend in while you’re in situ and leave no trace on the landscape when you leave. Ultimately, you don’t want to draw attention to yourself and you definitely don’t want to damage the special landscape that you have come to enjoy. While your emergency kit might include things that are eye-catching, noise-making and reflective, these are best left in your backpack – unless you need them, of course. For wild camping, a subtley-coloured tent is sensible. A camping stove rather than a campfire is advisable (not least because of the risk of fire spreading) and limited lighting after dark is wise. It goes without saying that you must take all your rubbish with you. It’s also best to set up your tent just before dark and to take it down again soon after the sun rises; that way you won’t impact on other people’s enjoyment of the place and are less likely to invite unwanted questions from passers’ by and the authorities. If you’re in a wooded area, hammock camping can be a good way to wild camp as it leaves little impact on the land below and usually blends in with the trees. Finally, if you’ve committed to wild camping, you’ve probably accepted that you won’t have access to a WC and the human waste you leave behind is another aspect of wild camping that needs to be considered. The Outdoor Access Guide to Scotland gives great advice on what to do if you need a poo – and all other aspects of responsible wild camping. If you love the idea of wild camping but you’re not quite prepared to forego the facilities, you might like to try the next best thing: our hand-picked selection of nearly wild campsites. From woodland pitches to places by the water’s edge, they will give you the chance to test your survival skills without going in to full Bear Grylls mode. Maybe next year, eh?